"I’m a traditional man in many aspects, but I get excited with techy innovations happening in my business. Here’s our latest: a jumper knitted from a blend of wool with breakthrough Thermocool™ fibres to keep you cool when it’s warm and warm you up when it’s cold. It’s perfect for sudden temperature changes (public transport, overheated offices), active commutes and plain unruly weather." 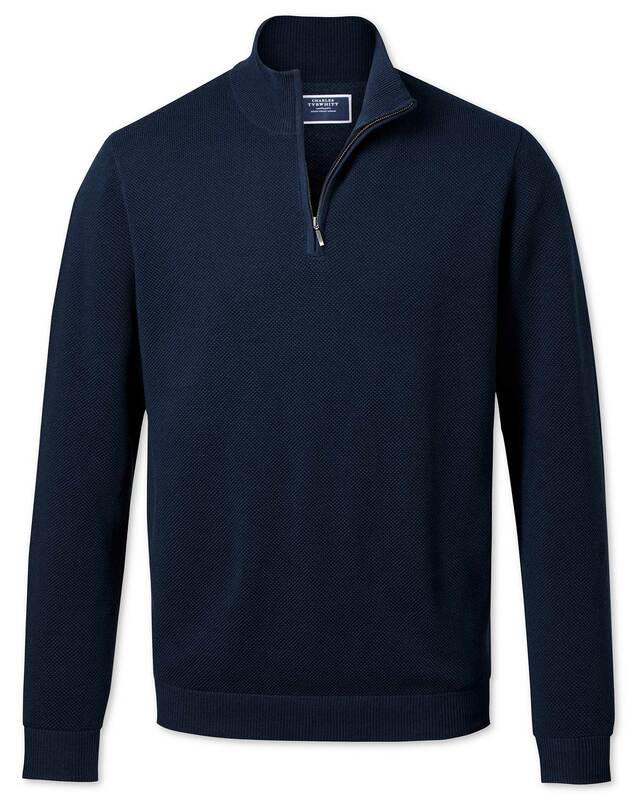 "Knitwear crafted with a trademark fibre technology for absolute temperature control. No more over or under-heating." Fit is perfect. Quality is great.